5 Tips for Eating More Plant-Based Recipes | Naturally. While I’m not a fan of ‘let’s change something major at the first of the year’ mentality, I do believe there is benefit in setting a few small intentions for the upcoming months. When I talk to people about this, something around food always comes up, usually with an emphasis on eating more vegetables. 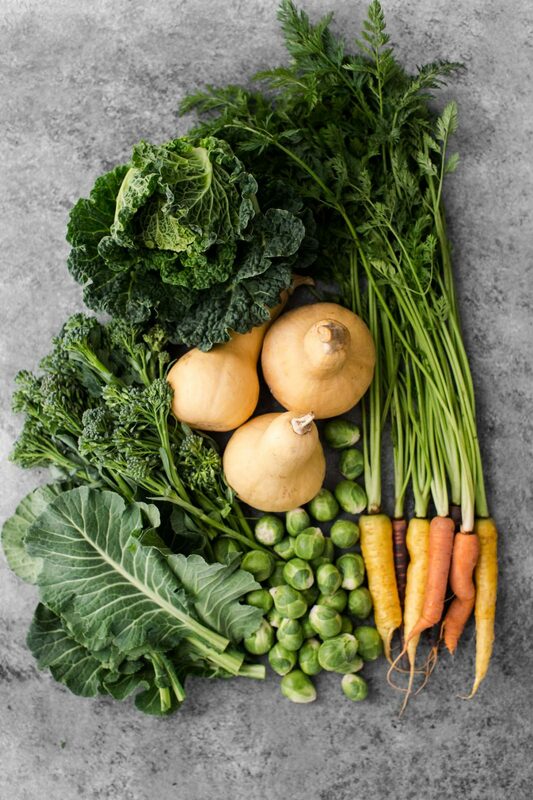 Given that only about 10% of adults in the United States eat the recommended serving of vegetables (according to the CDC), it’s a good emphasis to have. And so, to start this new year, I thought I’d share five tips to get you on the path to eating more plants (and plant-based recipes). It’s definitely a shift and not every member of your family may be onboard right away. I still get my fair-share of ‘that looks disgusting’ from my toddler. The most important part is trying. If you don’t like something, that’s cool- try something else. If you’re on the fence, try it again but maybe in a different way. It took me some time to grow to love many of the vegetables you see all over this site. It was a lot of trial and error but there’s definitely items on my suspect list (I’m lookin’ at you, mushrooms). So, without further preamble, my five tips to help you eat a bit more plant-based. 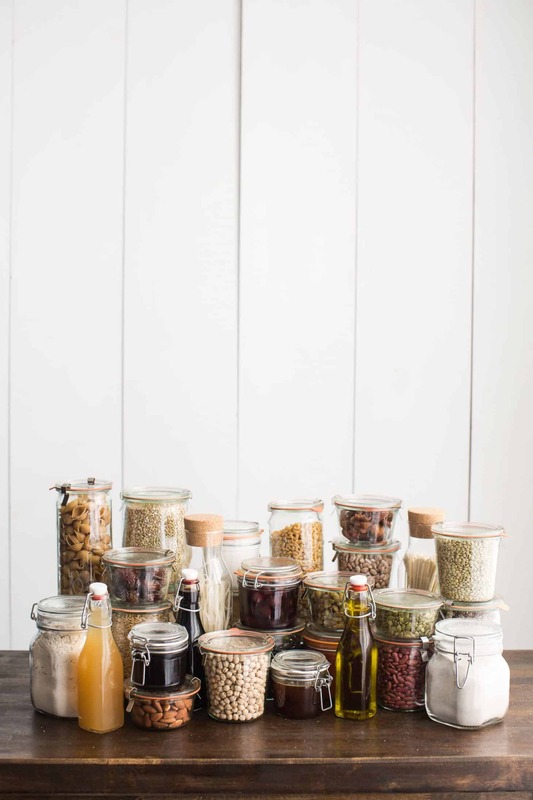 Somewhere around the house I have a print-out of a cookbook proposal all about the pantry. That should tell you how important I believe having a solid pantry is. It’s the foundation for everything I do and it’s the reason I’m able to cook without planning most of the time. I also count items like onions, garlic, shallots, celery, and ginger as ‘pantry’ items meaning, I always keep them on hand. I realize the word component is the least hip word I could choose for this section. However, it really encompasses exactly how I use these recipes. They become blocks that come together for a full meal. Master how to cook a solid pot of any variety of bean, make a creamy vegan sauce, and know your way around a simple way to spruce of greens and veg. The recipes below are the foundation for most meals during the week. 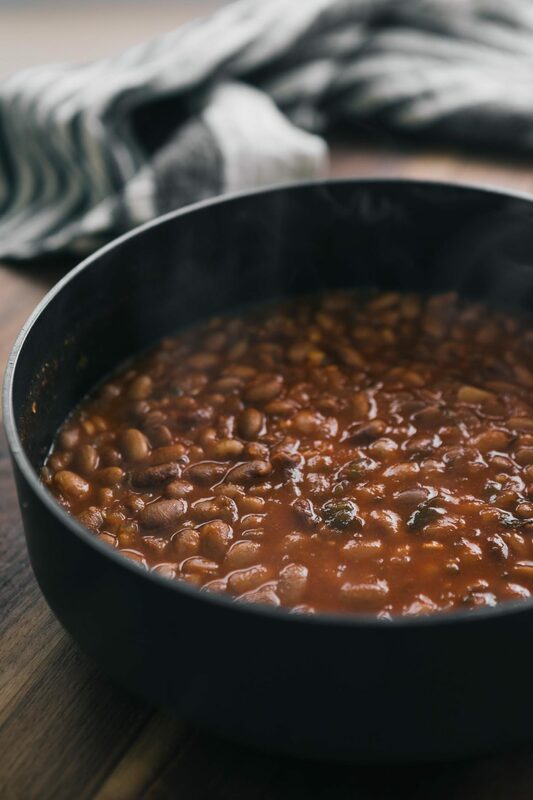 When it comes to plant-based recipes in our house, there is nothing as seemingly as important as a solid pot of beans. Sure, it’s a bit more involved than buying a can at the grocery store. However, it’s easier to manipulate the flavors to your liking. Of course, if you don’t have time, buying cans of beans can be just as useful. Cashew cream is one of those recipes that seemingly got a ton of hype in the vegan world but is amazingly useful across any kind of recipe. Over the years, I’ve started making sunflower cream a bit more, primarily because it’s cheaper. These cream sauces work well as sauces and dips. Add herbs, garlic, harissa, romesco, chimichurri, smoked alliums- there are hundreds of ways to work with this simple recipe. Greens are some of the best bang for your buck at the stores and markets. During the cooler months, it’s easy to feel completely overwhelmed with what to do with all the incoming chard and kale. Having a simple recipe, like these garlicky greens, can save you the sadness of having to throw those old droopy greens away. Best of all, I love this easy combination with chard, kale, spinach, collards, and some varieties of Asian greens. When it comes to grains, you can easily cook whatever grain you have on hand but something magical happens when you start combining them. Different flavors and textures come together in one pot, making the perfect base for grain bowls, salads, or curries. This is also a great way to use up small bits of grains you might have leftover. Finally, the all-encompassing roasted vegetable. When it doubt, cut any vegetable into bite-sized pieces, toss with a bit of oil and salt, then roast at 425˚F until tender and starting to brown. 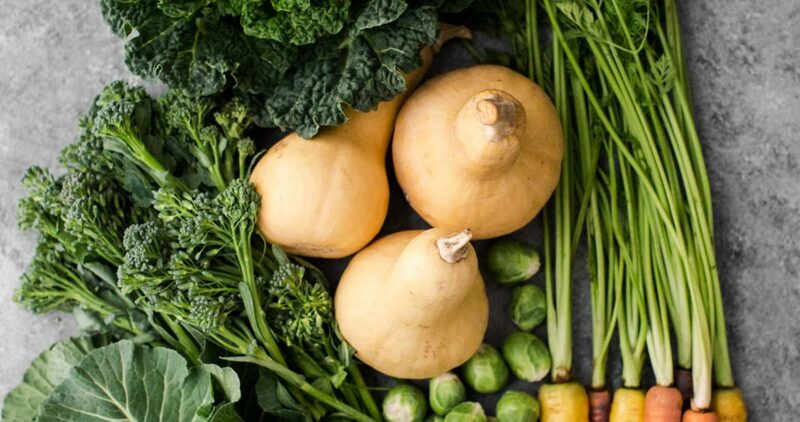 It’s really hard to go wrong and the best part, most vegetables don’t even need to be peeled (except for a few winter squash/celeriac). Serve roasted vegetables as a side or add to grain bowls, tacos, frittatas, etc. Have you ever bought a few stalks of broccoli only to be sad that you ended up throwing away half of what you paid for because it was mostly stalks? What about buying the most lovely carrots with their greens still attached, only to throw away the greens? It doesn’t have to be that way. And the more you work with the entire vegetable, the more comfortable you become knowing how to treat each part. 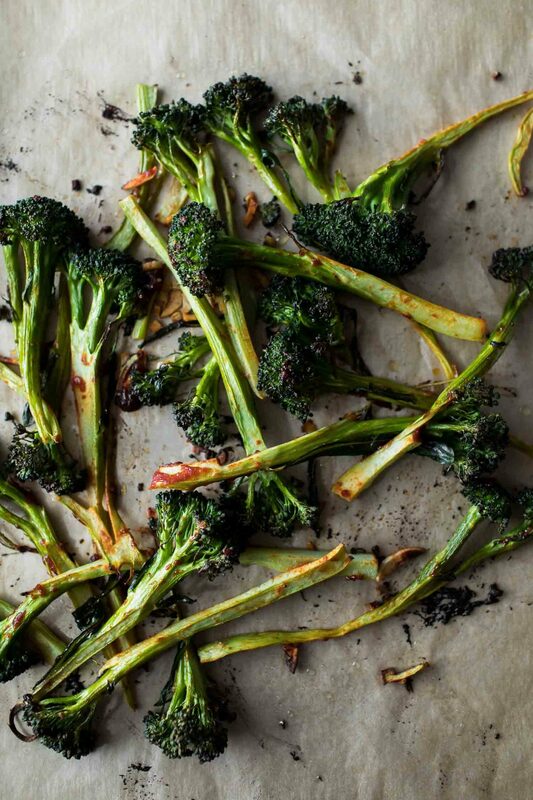 Broccoli: Broccoli stalks are down right delicious, however, if you treat the stalks as you would the florets, you will end up really disappointed. For the stalks, you need to trim the tough ends, peel the tough exterior, and plan to cook the stalks a bit longer than you would the florets. I like to steam the stems and make fritters. Another option is to parboil the stems then roasted along-side the florets. Or, cook in a broccoli soup and puree with the florets. Cauliflower: One of my recent favorite discoveries was smoking wedges of cauliflower (leaves/greens still attached). 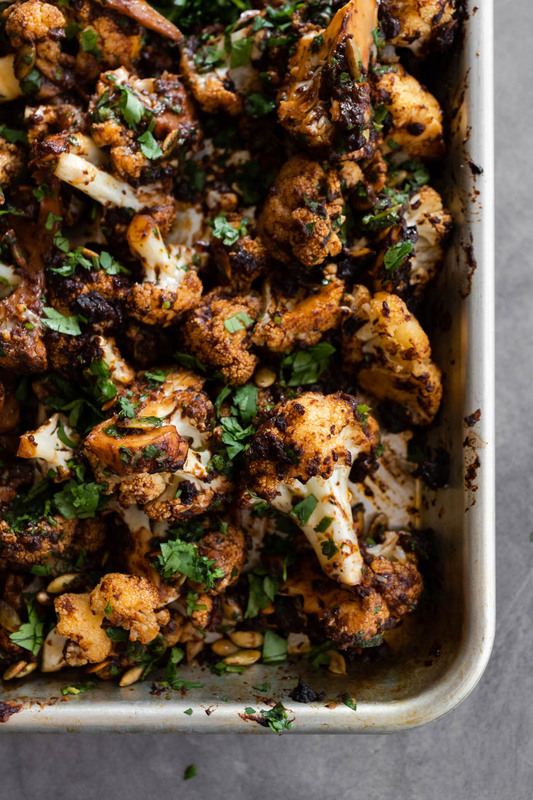 All parts of the cauliflower are edible and can easily be roasted or grilled along with the florets. There’s no major taste difference and it creates a beautiful presentation. Beets (and turnips): One beet can easily provide two different meals. The root is what we’re most familiar with but the greens are edible. They can be a bit bitter sometimes, but I’ve had my best luck adding them to stews or cooking with other hearty greens like kale or chard. Carrots: I like to put carrot tops in the same category as herbs. If parsley can do it, most likely carrot tops will fit right in. Similar to the beets, they can be a bit bitter. And so, I like to pair them with other herbs and stronger flavors. Think pesto, chimichurri, or a lovely gremolata. Finally, it pays to save. Save all those vegetable scraps and make stock. I keep a bag in the freezer that I constantly add scraps to. Eventually, when I get enough, I’m able to make a delicious, homemade vegetable stock. When it comes to plant-based recipes, I find people shy away from bold flavors. You can season a piece of meat, so why can’t you flavor a piece of cauliflower or sweet potato? In some ways, I think you have more options, more ways to play. Each vegetable is different. Some things work, some things don’t. So many cultures don’t shy away from bold spice flavors and yet, for many vegetarian/vegan dishes in the United States, they can be so bland. 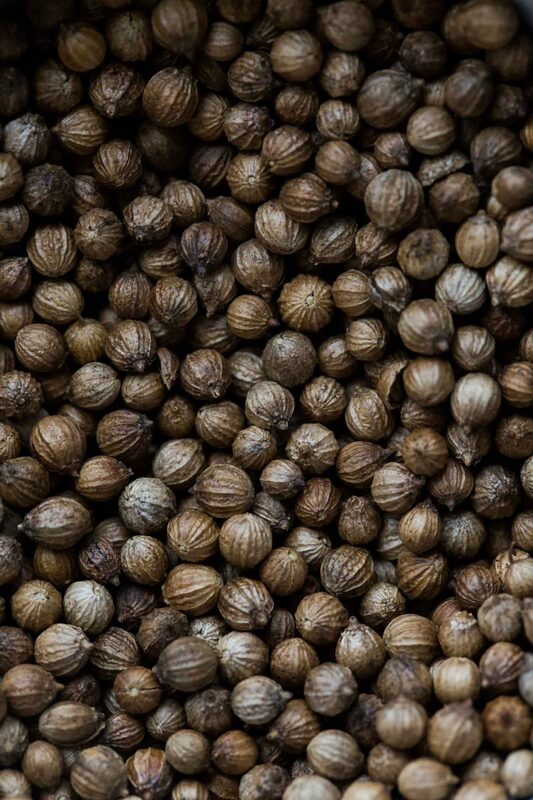 Pull out that coriander, use cinnamon in a savory dish, or try your hand at making homemade spice blends, perfectly suited for roasted vegetables. Finally, get to know dried peppers. It doesn’t always have to be heat-driven. Many delicious varieties of dried chili peppers are low on the heat scale. However, they provide just enough zing to complete the meal. Plus, dried chili peppers last quite some time, making them a perfect addition to your pantry. Whole grain risotto (like this butternut squash one) served with a simple side salad that consists of greens, chickpeas, toasted seeds, and a simple lemon vinaigrette. Occasionally I’ll add other roasted vegetables, like Brussels spouts or asparagus as a side. Quinoa cakes, usually with spinach and a simple dipping sauce served with a simple roasted vegetable like sweet potatoes, squash, or turnips and a small side of in-season fruit. A very toddler-friendly meal! For a summer take, this summer squash paella served with a side of these garlicky green beans and some fresh tomatoes sprinkled with sea salt. Any kind of bean/grain bowls, like this curried chickpea bowl, paired with a side salad and roasted vegetables. I’ve also been known to serve this as a soup/grain-bowl combination as well. Halloumi Tacos served with a side of roasted vegetables and some spiced beans/rice. The roasted vegetables could be simple or you could easily jazz up the vegetables with some spice, like in this chipotle red kuri squash. I really enjoyed your article. Clean and simple advice.Thank you. Thank you for these lovely inspirations! I tend to fall into the same couple of vegetable ruts and don’t really experiment with the possibilities. This gives me some fresh ideas.